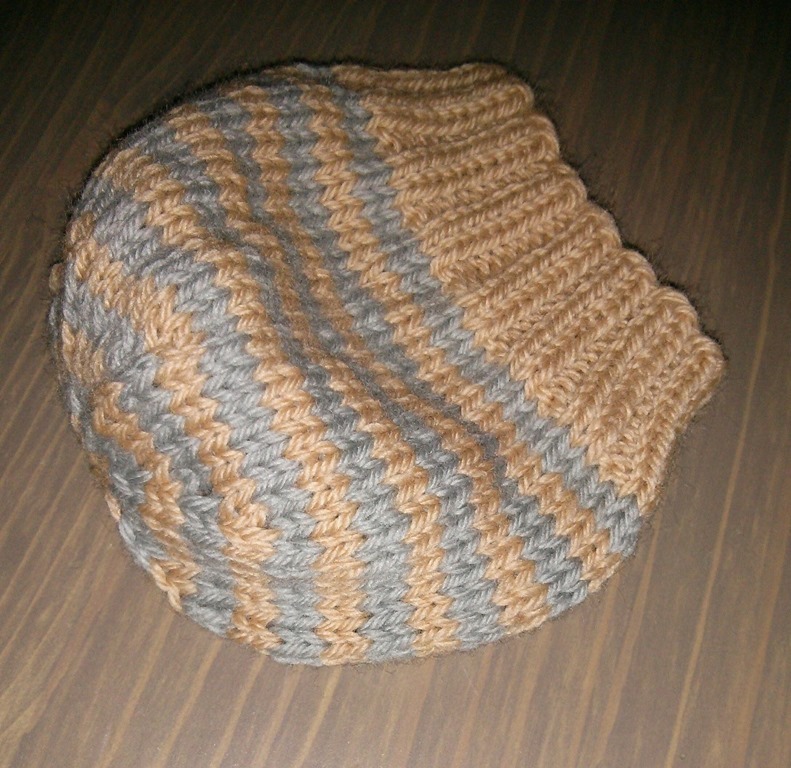 I literally whipped it up – it took less than an hour of knitting and about 10 minutes of finishing (weaving in ends). I chose the Welcome to the World Newborn Hat pattern by Nona Knits. From my stash, I found some antique pink and a grey that looked great that I could strip with it. Because this used like no yarn, I used a little ball end of grey that I wouldn’t have been able to use for anything else. Score! One less little ball end in the compost/landfill! As you have probably figured out, I am still pregnant since this isn’t a Welcome So&So! post. I am indeed still miserably pregnant. The pelvic and nerve pain have started to flare up again, becoming a little worse every day. My emotional coping is starting to fall apart as little things are starting to set me off into a flood of tears. What chronic pain and sleep deprivation will do to a person is amazing. I am under midwifery care, which has been such a blessing. They know me really well from my first pregnancy and I have felt very heard these past few weeks. The plan as of today is an herbal induction on Friday, which won’t work if baby is not ready to come. I think this is the best of both worlds – try, see if baby is ready and if not, reassess on Monday. Because I was 10 days overdue with my first pregnancy and had an ultrasound showing debris in the hind waters (we knew he had had a meconium before I went into labour), I took this cocktail. It worked like a hot-damn and due to the almond butter, it minimized the diarrhea (at least for me). Too much information? I know. Pregnancy is far from glamorous! Next Post welcome to the world.